Professional MakeUp Artist & Beauty Therapist Hi I'm Toria - I am a qualified Make Up Artist, Beauty Therapist and Hair Stylist.I have a private home studio, where you can relax with a Nespresso Coffee or choice of teas while you have your treatment. There is plenty of parking, and I am close to Accrington centre. I can arrange appointments to suit you and mobile treatments can be arranged. 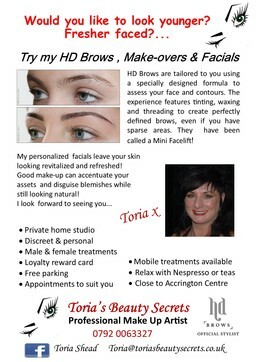 HD Brows I am an official HD Brows stylist. 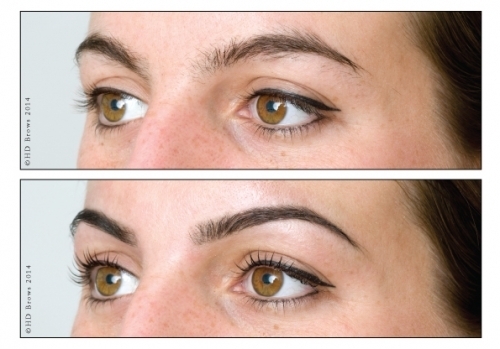 HD Brows are tailored to you using a specially designed formula to assess your face and contours. 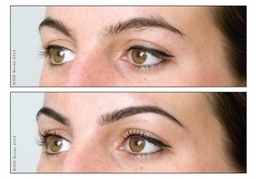 The experience features tinting, waxing and threading to create perfectly defined brows, even if you have sparse areas. They have been called a Mini Facelift! Make Overs & Facials My personalised facials leave your skin looking revitalised and refreshed. Good makeup can accentuate your assets and disguise blemishes while still looking natural. Beauty Consultants. More information coming soon. 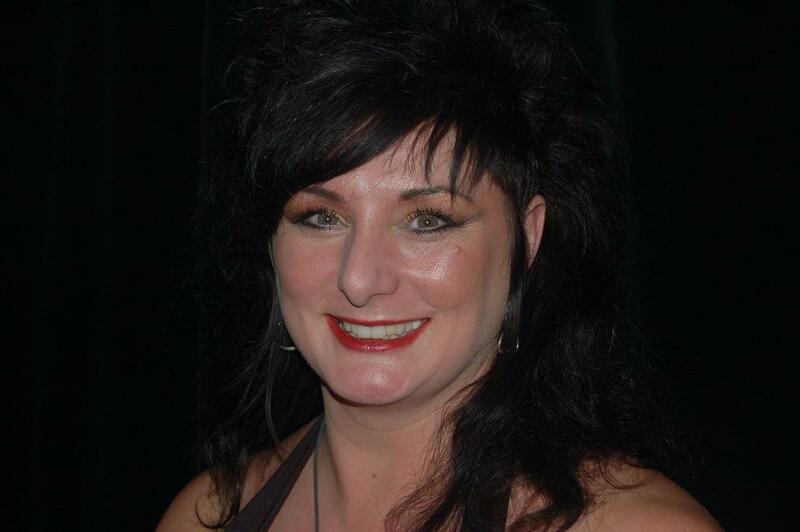 Welcome To Toria's Beauty Secrets Beauty Consultants. More information coming soon.